Lullaby Nano is Aquatica’s take on creating a petite deep bathtub that is ideal for a space conscious bathroom while providing that much loved modern freestanding design. 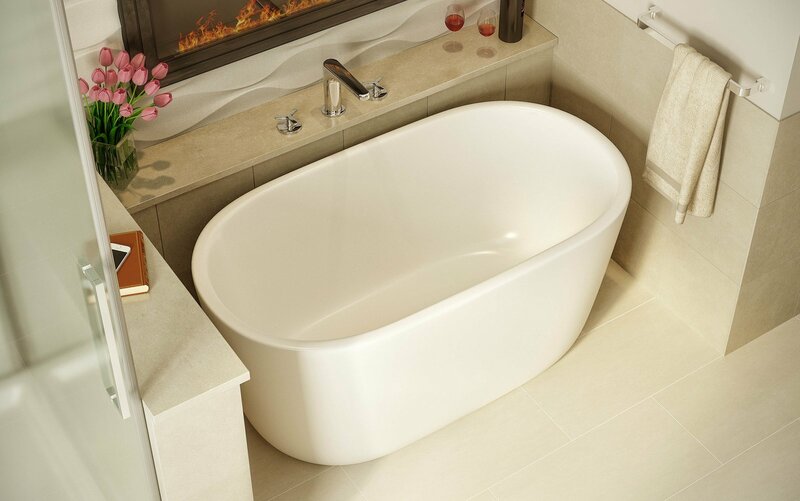 Standing at just over 51” in length, this compact tub has an extra deep ergonomically designed interior to ensure you enjoy a full-body soak. Crafted from AquateX™ solid surface material, Lullaby Nano offers a velvety soft matte surface and superior heat-retention and durability.